Driving without insurance in Alberta, and all other Canadian provinces, is against the law. If you are caught driving without proper insurance coverage, you will face steep fines and other penalties. However, with high rates for car insurance in Alberta, many drivers take the risk and drive without valid insurance. This puts other drivers and themselves at risk. 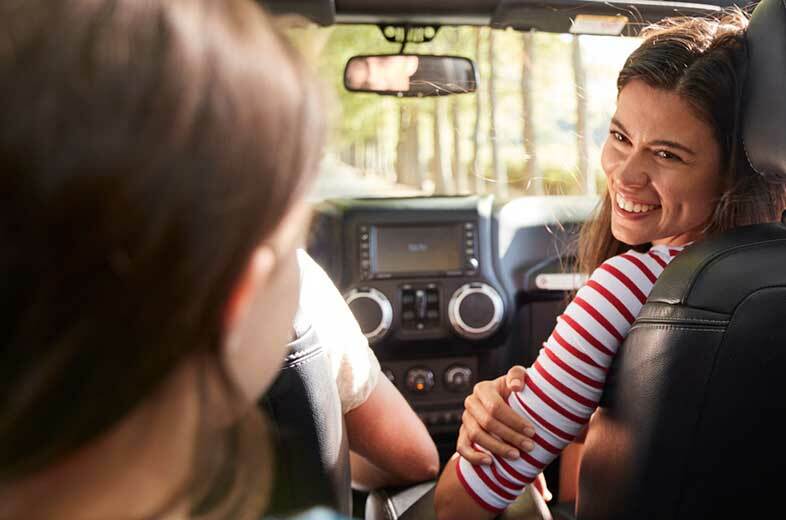 This blog explains the repercussions for driving without insurance, fines, penalties, and answers common questions drivers have about insurance requirements in Alberta. What Is The Penalty For Driving Without Insurance In Alberta? Drivers can face a number of penalties for driving without insurance. 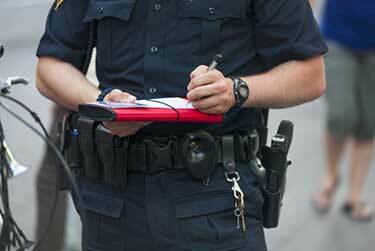 You can face fines, a license suspension, and see your insurance rates increase. You will not be arrested or face criminal charges. However, you could face jail time for failure to pay fines for driving without insurance. You could be arrested if you are caught in a criminal act while driving with no insurance coverage. What Is The Fine For Driving Without Insurance In Alberta? First offense fine : A minimum of $2,875 up to $10,000. Failure to pay the fine can result in 45 days to 6 months in jail. 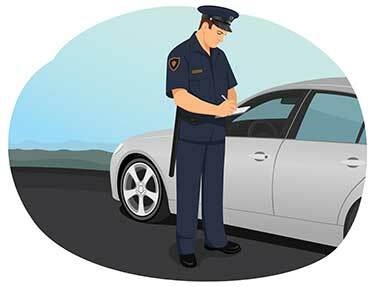 Second offense fine : If you are caught driving without insurance within 5 years of the first offense, you face a minimum fine of $5,000 up to $20,000. Failure to pay will result in 60 days to 6 months in jail. What Is The Maximum Specified Fine For Driving Without Insurance? The maximum fine for your first offense is $10,000. The maximum fine for a second offense is $20,000. The $2,875 fine is likely higher than your annual car insurance cost. Getting caught driving with no insurance will increase your insurance rates. Vehicle towing and holding fees. If you were to get into an accident, you would have to pay for repairs out of pocket – potentially costing you thousands of dollars. Many people assume you’ll have demerit points added to your driving record if you are caught driving with no insurance. You will not receive demerit points in Alberta for driving without insurance. But you will face a hefty fine. Can I Be Charged For Driving Without Insurance If The Vehicle Isn’t Mine? Yes. A licensed driver operating an uninsured vehicle can be charged with driving without insurance, even if the vehicle is not theirs. If you borrow a vehicle, you need to confirm it has valid insurance. Failure to check could result in a fine. The owner of the uninsured vehicle could also be charged. You are not allowed to knowingly allow others to drive your vehicle if it does not have valid insurance. Is Driving Without Insurance A Criminal Offense in Alberta? No. 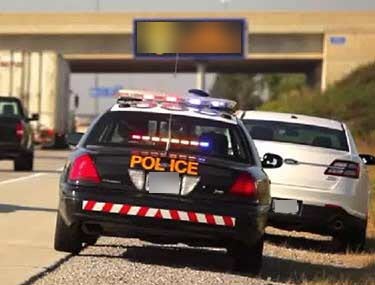 Driving without insurance is not a criminal offense in Alberta. However, you could be charged with a criminal offense related to a motor vehicle accident as an uninsured driver. Can I Get Jail Time For Driving Without Insurance? Yes. You can get jail time for failure to pay your fine for driving without insurance. You can receive a minimum of 45 days up to 6 months in jail. Can My License Be Suspended For Driving Without Insurance? Yes. A driver’s licence suspension can be ordered by a judge if they deem necessary. The combination of having your license suspended and getting charged for driving without insurance can have a significant impact on your insurance rates and ability to get coverage. There is a significant financial risk to driving without insurance. If you are found to be responsible for a collision, you are personally responsible for bodily injury costs. You could also be sued and found liable. The average cost per bodily injury claim is more than $15,000 and costs are on the rise. These costs will come out of your pocket. If you had insurance, these costs would have been covered as part of your auto insurance policy. One of the overlooked risks of driving without insurance is how you will react if you get into an accident. 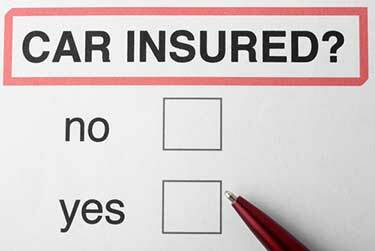 Many uninsured drivers are tempted to flee the scene of an accident to avoid the fines and penalties. However, doing so will only make things worse. If you get into an accident without insurance and leave the scene, you could also face hit and run charges - $2,000 fine, potential of six months in jail, 7 demerit points. You can also be charged under the criminal code of Canada and get a criminal record. What If I Was Just Driving Without Proof Of Insurance In Alberta? You are required to have proof of insurance with you at all times. The burden of proof is on the driver. 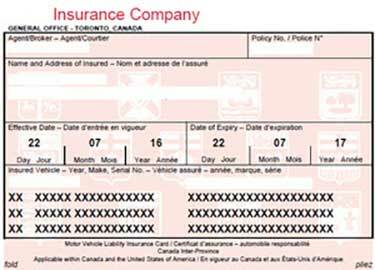 Failure to produce evidence, such as an insurance card, can result in a fine. There are no demerit points associated with the ticket. Some police officers may give you the opportunity to prove you have insurance before they submit the ticket. You also face a fine in Alberta for driving without a license and driving without registration. Are You Allowed To Drive A Car Without Insurance? You are not legally allowed to drive a car that does not have valid insurance. However, a licensed driver does not need to personally have insurance to drive another vehicle as long as that vehicle has valid insurance. Insurance follows the vehicle, not the driver. Can You Drive Someone Else’s Car Without Insurance? You can drive someone else’s vehicle if it has valid insurance. Never drive a vehicle that is not insured. Don’t do it : If you forget to renew your insurance, avoid driving until you update it. Ask others before driving : If you plan to borrow a friend’s or family member’s vehicle, verify they have valid insurance. Check to make sure their insurance card is in the vehicle. Set a reminder : Set a reminder in your smartphone or write down your insurance expiry date in your calendar. Driving without insurance is not worth the risk. Even with higher than desirable insurance rates, driving with valid insurance protects you from financial risks, fines, and penalties.